Ohio state softball camps provide youth athletes a one of a kind opportunity to build confidence, develop skills, and meet new friends in the off season. Finding the right summer softball camps Ohio is an important decision and can help take your game to the next level. With so many softball camps in Ohio it can be a challenge to find the best fit for your child’s needs. Whether you are searching for beginners or advanced high school athletes Sports Camp Connection can help. Search below to find free information on quality youth college softball camps in Ohio. The Bowling Green State University Women's Softball Camp located in Bowling Green OH offers youth athletes an amazing opportunity to learn from top conference coaches and staff. Come experience Falcons Softball and take your game to the next level. Request more information today! The Kent State University Women's Softball Camp located in Kent OH offers youth athletes an amazing opportunity to learn from top conference coaches and staff. Come experience Golden Flashes Softball and take your game to the next level. Request more information today! 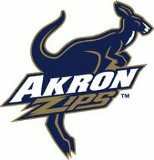 The University of Akron Women's Softball Camp located in Akron OH offers youth athletes an amazing opportunity to learn from top conference coaches and staff. Come experience Zips Softball and take your game to the next level. Request more information today! 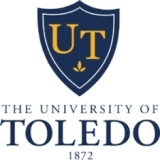 The University of Toledo Women's Softball Camp located in Toledo OH offers youth athletes an amazing opportunity to learn from top conference coaches and staff. Come experience Rockets Softball and take your game to the next level. Request more information today! The Miami University, Ohio Women's Softball Camp located in Oxford OH offers youth athletes an amazing opportunity to learn from top conference coaches and staff. Come experience RedHawks Softball and take your game to the next level. Request more information today!